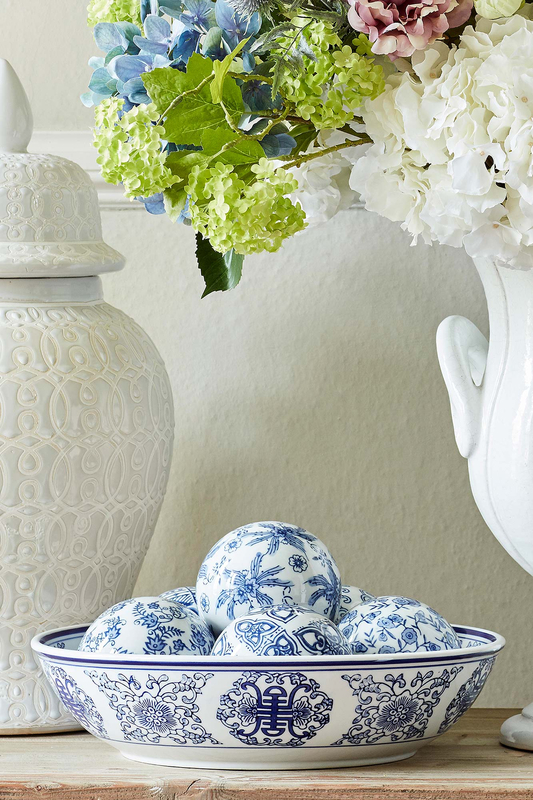 Bring classic charm to your home with our beautiful set of Lin Bu Ceramic Balls. 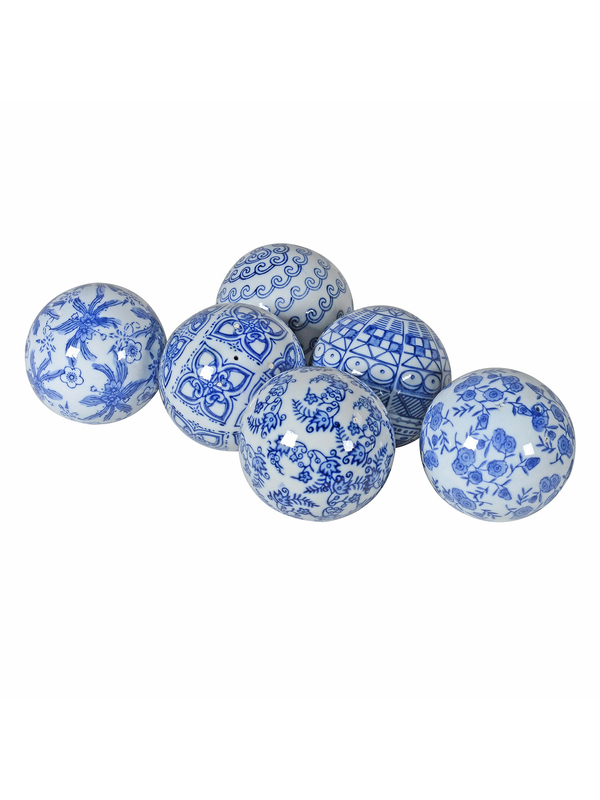 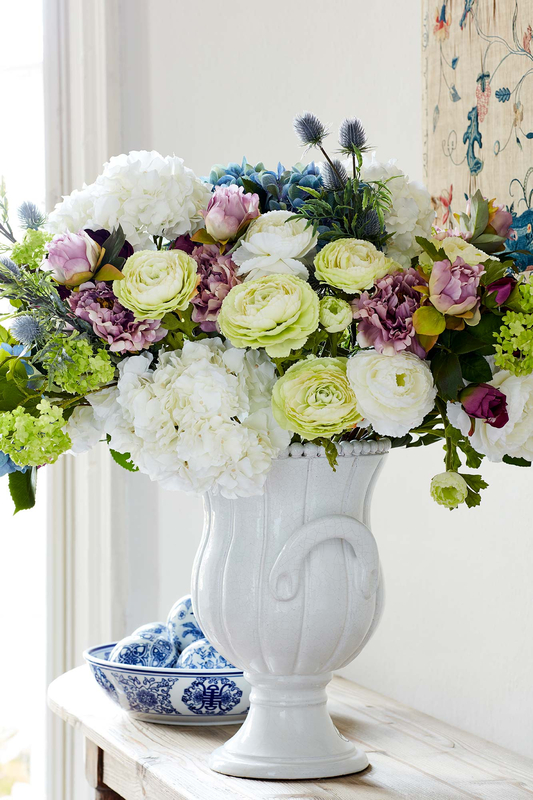 These decorative orbs come in an assorted set of six, each adorned with a different complementary pattern in classic blue and white chinoiserie style. 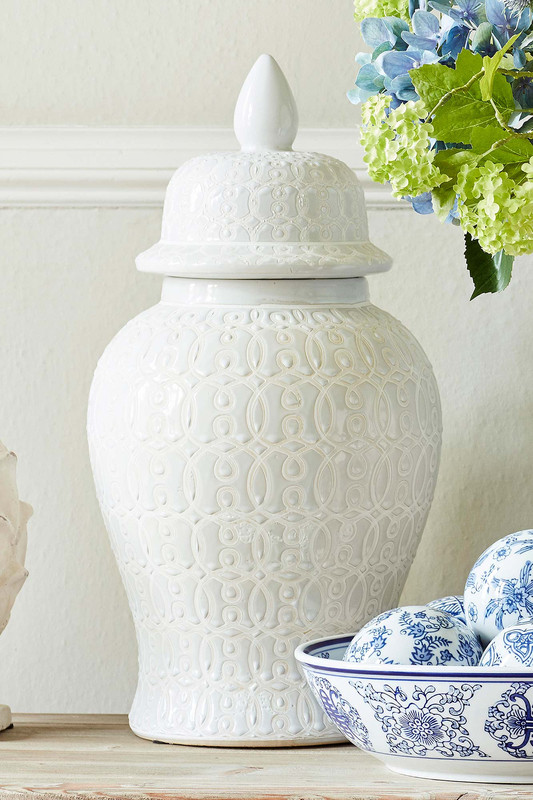 Made from 100% porcelain, these enchanting accessories can be arranged on a shelf, mantelpiece or tabletop, or displayed together in a beautiful bowl.